Home What Are Industrial Vending Machines? They’re not titanium-plated candy dispensers. But industrial vending machines are just as intriguing for facility operations managers. Industrial vending machines dispense maintenance, repair and operations (MRO) supplies; safety products and other highly consumable items in warehouses and other industrial settings. These machines and the processes that come with them streamline inventory management, increase accountability and reduce consumption. Industrial vending machines provide usage tracking information and control the access to supplies. You can configure these machines to require workers to enter a user identification number or scan a badge to access materials. And you can set limits on the quantity of items an employee or groups of employees dispense within a specified timeframe. You can configure item selection to give you control over who can retrieve certain items. And in the long run, you’re going to reduce consumption. With a stocking arrangement available through your distributor partner, you never have to order, receive or stock your shelves for the products in your industrial vending machines. 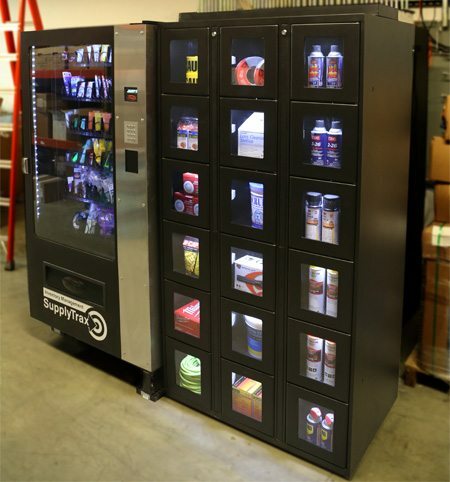 Employees simply select the product they need from the vending machine, and the product dispenses automatically. 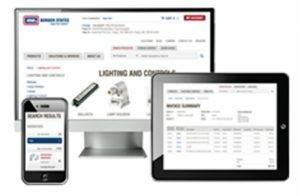 This eliminates the constant inventory level monitoring for fast-moving products like safety and consumable MRO items—anything you decide to stock in your machines. And you can customize the machines to suit your specific needs. You can configure your machines to accommodate irregular-sized and shaped supplies—from gloves to wrenches—which eliminates the need to repackage or reform items. You can configure systems to allow nonconsumable items to be returned into the machine, which gives the user the ability to track usage of these assets. Depending on your preference, you can also personalize the user interface of the machine to allow for easier item identification and selection. You can track inventory levels in real time through server-based or cloud-based software that keeps tabs on machine transactions. This helps ensure the optimal amount of supplies are in stock for everyday needs, projects and emergencies. And your distributor partner takes care of the inventory management process—everything from entering the order for replenishment items to delivery and refilling of the vending machines. This saves you valuable time you can devote to other tasks. Once a vending machine dispenses a product, it logs the transaction and adjusts on-hand inventory levels automatically. There are a number of automated features available to notify users via text message or email with usage statistics, when replenishment is necessary or when inventory levels are at a point of concern—none of which require any of your intervention. You may be unsure about the optimal level of supplies to have in your facility, leading to over-ordering of the products that move fast. This overstock could lead to product expiration, products becoming obsolete, getting misplaced—or even getting lost. Another challenge is getting supplies into the right hands. Accountability is difficult when you have to keep track of an influx of supplies each day while monitoring and securing access to inventory. Your employees may hoard items or not return equipment when they need to. You’re responsible for keeping your facility running smoothly. While you could spend your time trying to prevent employees from hoarding supplies or tracking on-hand inventory, there are tools available to help you manage these challenges. Industrial vending machines can be one of these tools to help alleviate the burden of inventory management. Industrial vending machines can relieve your burden of tracking supplies while ensuring you have adequate stock on hand and are an effective tool to allow your employees quick and controlled access to supplies when and where they need them.